The structures of Chaco Canyon, built by native peoples between AD 850 and 1130, are among the most compelling ancient monuments on earth. Recognized as a World Heritage Site, these magnificent ruins are consistently featured in scholarly books and popular media. Yet, like Chaco itself, these buildings are anomalous in Southwestern archaeology and much debated. In a century of study, our understanding and means of approaching these ruins have grown considerably. Important tree-ring dating, GIS research, and computer imaging point to the need for a new volume on Chaco architecture that unifies older information with the new. 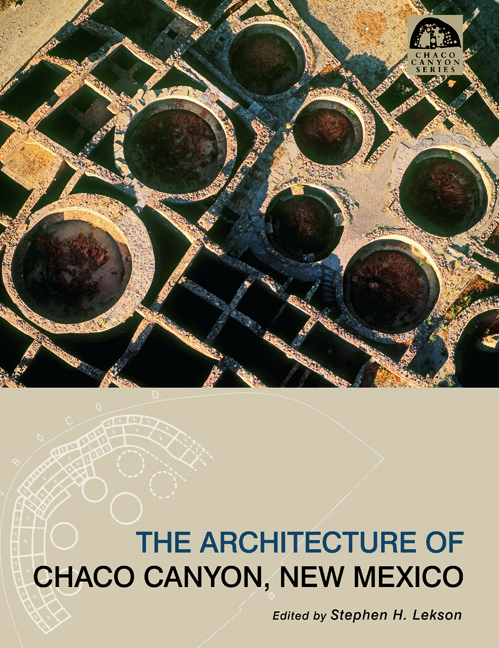 The chapters in this volume focus on Chaco Great Houses and consider three overlapping themes: studies of technology and building types, analyses of architectural change, and readings of the built environment. To aid reconsideration there are over 150 maps, floor plans, elevations, and photos, including a number of color illustrations. Stephen H. Lekson is associate professor of anthropology and curator of anthropology, Museum of Natural History, University of Colorado, Boulder.